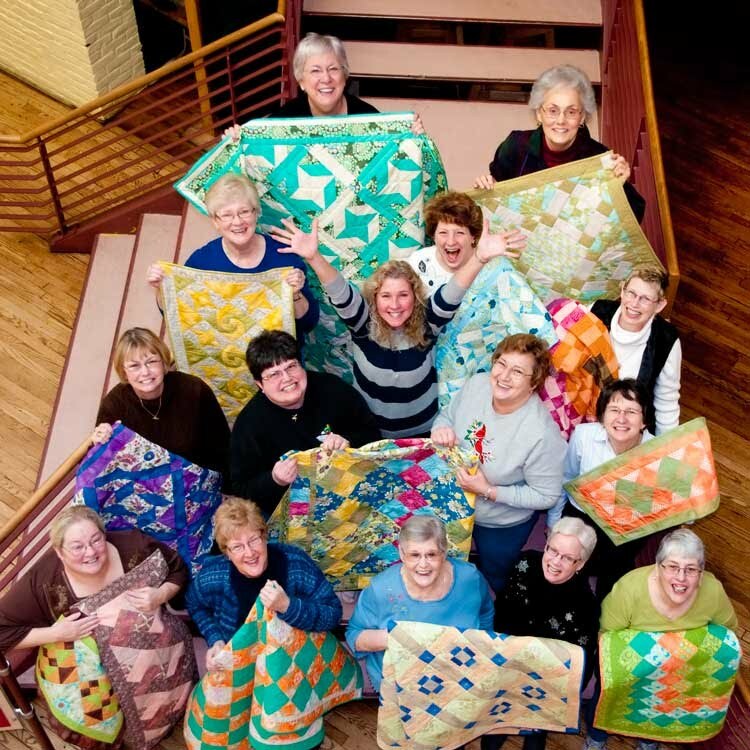 Square-agonals – a new angle on quilting – is the title of a brand new book by Sandi Blackwell. It is published by Landauer Publishing and sells for $24.95! I began my interview with Sandi by asking her what “Square-agonals” are? … by sewing something like this… When I read the book I was amazed at how clever and yet simple the idea is and so I asked Sandi how she came up with it in the first place? Sandi: I make quilts for several artisan centers. The most popular line is a diagonal setting. Since I make so many I am always looking for ways to streamline the process. One day they were all lying there jumbled together and the idea just came to me. It took a lot of experimenting and practice to perfect the idea but now it is the only diagonal set method I use. I can see why. 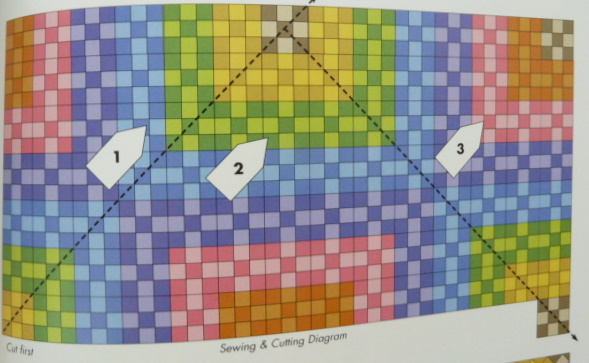 I don’t think I’ll ever look at a diagonal quilt quite the same way again. 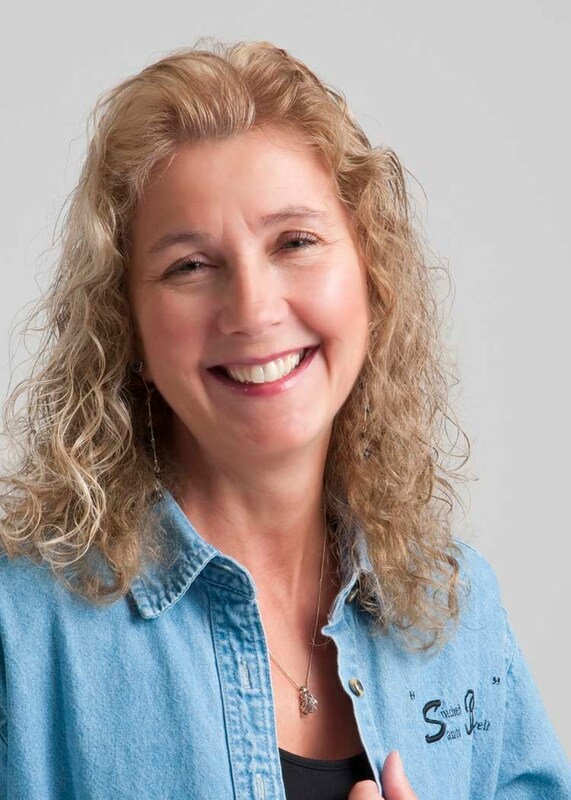 I asked Sandi if you need any special tools or notions to use her technique? Sandi: No special tools are needed other than the diagrams in the book. I have developed two lines of guide tape to make the process easier, but it is not necessary. The “Square-agonals Arrow Guide” tape and “Square-agonals Guide” tape will be available at your local quilt store by the end of the year and through my web site early next year. Congratulations Sandi! It’s a lovely book with very clear instructions and lovely illustrations. I’m sure we all wish you well with it. It always inspires me when I see how inventive, clever and innovative quilters are. 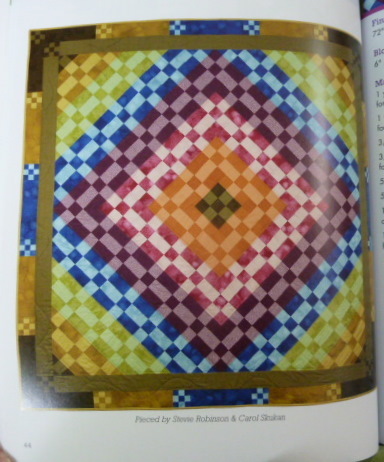 If you’ve always wanted to make an on point quilt, table runner or table topper then you can’t go past this book. No affiliations. I’m just happy to support inventive quilters. 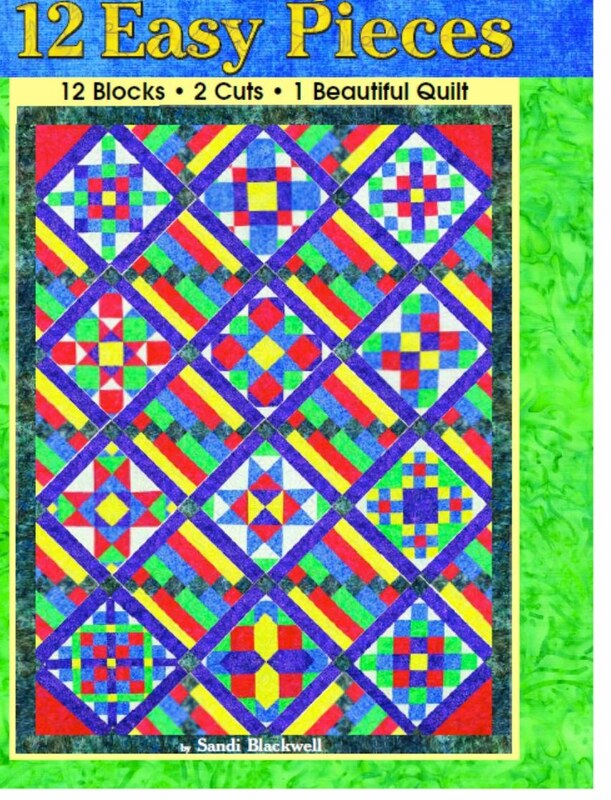 Sandi has kindly sent an autographed copy of her book Square-agonals – a new angle on quilting to me to give away. I was going to give it to one of my email subscribers but then I realised that there are also lots of you who visit regularly who use RSS readers or who just have me bookmarked and I didn’t want you to miss out. So I’ve decided to widen the give-away. I liked the “guess the number” give-away we had last week so this time I’ve thought of a number between 5 and 125. If you get it right you’ll go into the draw for this lovely book. I’ll draw the winner on New Year’s Eve my time. Good Luck! Love the technique. I have tried it from other quilters/authors, but love trying new patterns. My guess is 91.
always been a lucky number for me. oh bugga! some one else already has that. Ok I’ll try . . . . . . . . . a little thinking music here please . . . . . . .
Oooh, looks like a fun book. I am sort of new at quilting. Would love more learning. Thank you for the chance. I will go with 25.